The KÜHL Interceptr™ Jacket features Alfpaca Gold™ fleece for performance, durability and warmth. 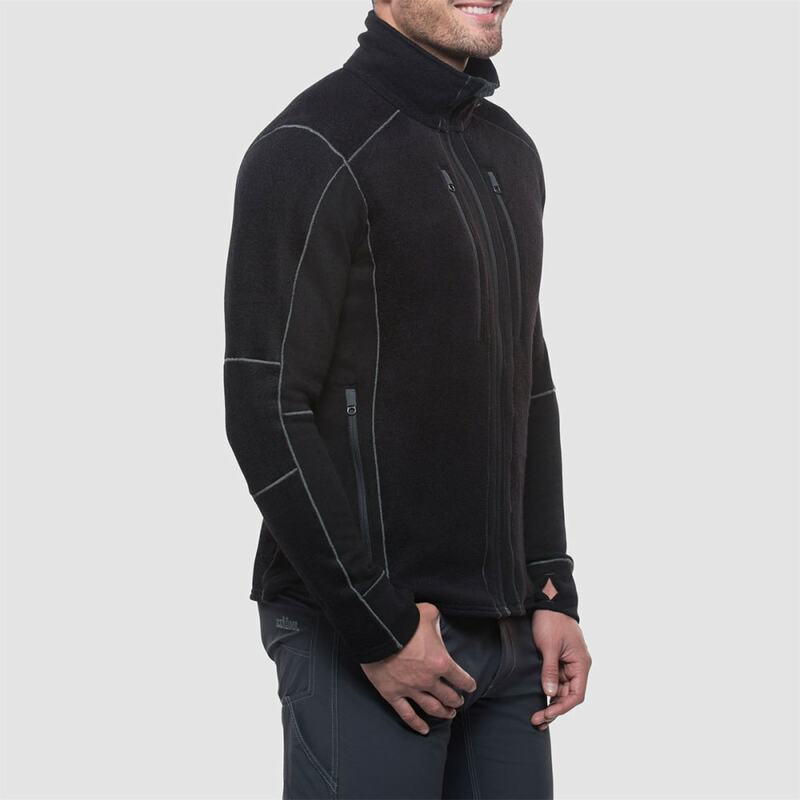 Kashmira™ side panels increase breathability and reduce bulk, while a micro fleece interior collar adds warmth and comfort. 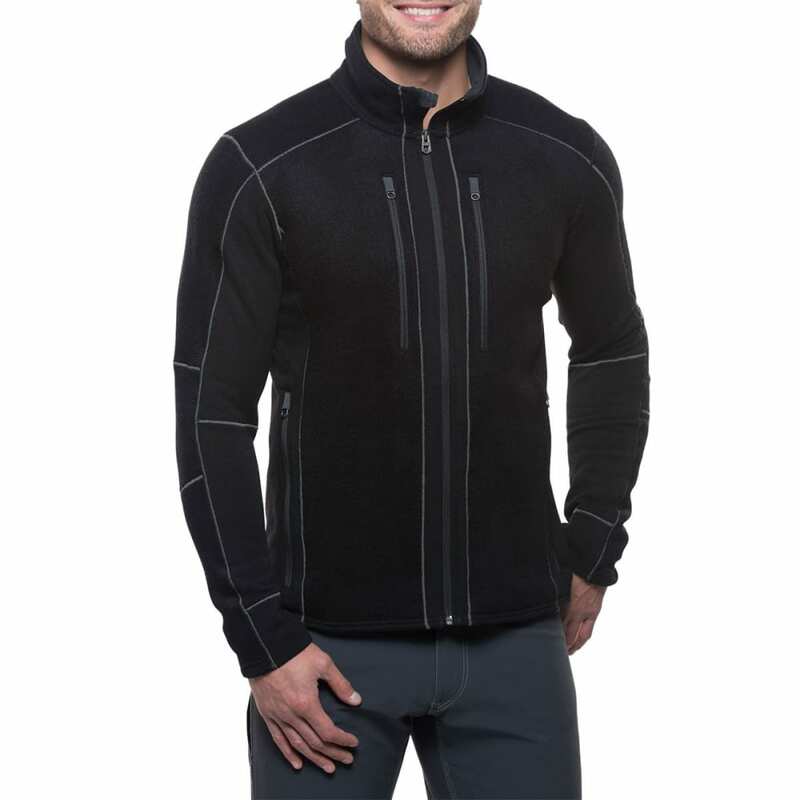 KÜHL's exclusive articulated sleeves provide better range of motion, and their signature thumb holes help seal out the cold. 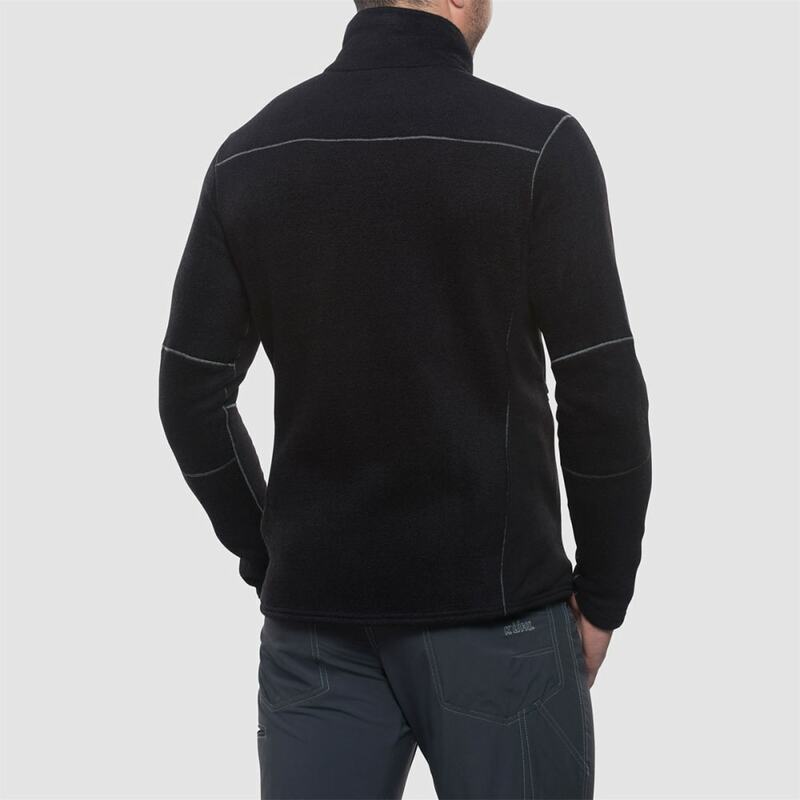 Low bulk seams make layering comfortable and easy, and hand warming pockets and chest pockets with zip closures provide secure storage.